Hosted PBX by Telair. 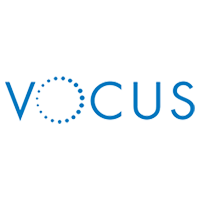 A Fully Managed Hosted PBX Solution for SMEs. We’re different. We include all features for no extra cost, including any major or minor release updates. Telair Hosted PBX is always at the cutting edge of technology. No getting caught out paying for extra features you didn’t know you needed! Don’t get stuck having to configure a handset. Telair Hosted PBX is Plug & Play – this means we’ll pre-configure your phones before they ship, saving you time and hassle. Don’t worry though, if you need a hand we’ll support you. Take comfort with knowing Telair Hosted PBX will work seamlessly when making the switch from traditional DSL to a brand new, super fast nbn™ service. Telair Hosted PBX includes a range of graphical reports which puts the competition to shame. See real time stats to help you manage your business, in a nice and easy to view format. Can’t find something out of the box? All Telair Hosted PBX reports are customisable to your needs. Choose a plan that includes UC collaboration features, various handsets with highly-reduced rental charges, or both! You can even mix ‘n’ match Unlimited plans (Basic/UC/Premium) between your Hosted PBX users. An example of our Hosted PBX plans on a 36 month term is shown below. Note: Mix ‘n’ match between Unlimited plans and PAYG is not available. Got 50 or more users? Take $5 per month off the cost of each user licence on any uPBX Unlimited plan! Minimum cost over term $1,675.00 + Handset if applicable. Minimum cost over term $3,835.00 + Handset if applicable. Minimum cost over term $4,375.00 + Handset if applicable. Minimum cost over term $5,455.00 + Handset if applicable. Please note: A minimum of 3 user licences are required, or 5 for promotional offers. I have used Telair’s MyCloud PBX for a number of years and have found the lines to be excellent quality, the Telair support to be quick, efficient and accessible. We reduced our landline costs significantly and have a number of flexible options allowing us to have home workers, remote office and main office lines using one system, or independent of it – however we choose to set it up. Telair, what a company. We are a company of 350 with 35 branches and nothing is ever too big or small for Telair. 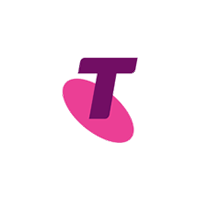 We are going from Telstra to Telair and the price difference and the quality of service we receive from Telair is just fantastic. All the services we have asked about have always been cheaper and the team just make it happen when we want it to happen. I love this company and encourage everyone to call the team and discuss your needs and they will have the perfect solution and help you along the way if any issues arise. Great work Telair and keep up the fantastic work. Ditch your desk phones and take the office with you, using UCme – Telair’s Unified Communications solution. Ditch the Fax machine with Telair Virtual Fax. Just $9.90/month with uPBX or FREE with MyCloud PBX. BYO handset, or rent one from us! Phones listed below are based on a 36 month minimum term. Or take a longer term for significantly reduced pricing. Telair also offers a selection of Plantronics headsets to help boost your productivity. Ask us for other model pricing! Telair Hosted PBX brings the future of Hosted PBX technology to your business, today. 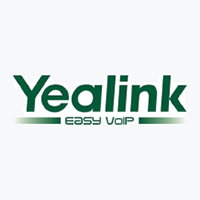 Telair Hosted PBX is built to work seamlessly with Yealink, Cisco & Polycom handsets. Whilst you can bring your own handset, we’d love for you to experience Telair Hosted PBX in all its glory. This is why we provide the option to rent one of these great handsets at a reduced rate, because you shouldn’t be left in the cold with a less fortunate handset. Telair Hosted PBX includes the ability to automatically record all incoming and outgoing calls. We include this feature at no extra charge, because we think you should get to experience a fully featured Hosted PBX without paying more. Telair Hosted PBX is super simple to manage. Access all of your system settings through an easy to use portal and make changes as you please. This includes call diversions, adding or modifying handsets, and even changing your Hosted PBX’s Holiday and Day/Night conditions. Still need a hand? We’re more than happy to help! Stay on top with powerful reports at your fingertips. Drive your business with real-time dashboards. Live dashboard widgets show critical information about your Hosted PBX in real-time. This allows everyone in the office to monitor call queues and show call stats, ensuring up to the second accountability. We stand by our Hosted PBX so much, that we use it ourselves at both our Brisbane and Perth offices. To ensure we remain accountable to our customers, we display this dashboard which shows various call statistics to all staff. Our Live Call Queue Widget allows you to easily see how busy your team is and allocate resources elsewhere if you get an influx of calls. This is our own call queue widget shown in our Brisbane and Perth offices, to make sure we can get to customer calls in a timely manner. 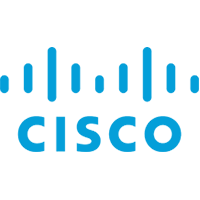 Get in touch with Telair for a full service quote, Hosted PBX demo, or even just to say hi! We’ll be in touch as soon as we can, which is generally within a few hours. 1. uPBX (the Service) is an Internet telephony service delivered over a broadband Internet connection (not included), such as ADSL 2+, nbn™ or Copper/Fibre/Wireless Ethernet, charged at your applicable Internet plan rates. An Internet connection with a minimum of 100/100Kbps of available bandwidth per simultaneous call, with no packet loss, and a ping of less than 150 ms is required for the Service to work. The Service may not be supported by us should the underlying Internet connection not meet these minimum requirements. Data transmission demands on your network may cause the bandwidth available for voice transmission to be limited if voice and data share the same connection. The quality of the Service is subject to network and Internet congestion. 2. 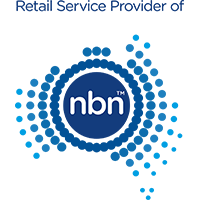 We recommend that the Service be accessed with included handsets supplied by us, using a broadband ADSL 2+, nbn™ or Ethernet service supplied by us to our specifications. As the Service is designed to work with devices supplied by us to our specifications, we do not offer any guarantee or assurance that devices not supplied by us will be compatible and function with the Service. 3. Block of 5 Direct Indial (DID) numbers included per uPBX system. Additional required DID numbers are purchased in blocks of 10 or 100. 4. Porting charge applies for customers wishing to retain their existing phone number, price on application. 5. Standard Call types, such as calls to international numbers not included in an Unlimited Plan, plus premium numbers and directory assistance, are charged in addition to the Monthly Access Fee. Timed calls are billed in 1 second increments. 6. Your fax machine, EFTPOS, back to base alarm and other non-standard services may work over Telair’s IP Voice network, however we cannot guarantee that these services will function faultlessly. Please contact your manufacturer/provider to check compatibility with SIP Voice. 7. Early Termination Fee: if you choose to cancel your service or it is disconnected for any reason within the minimum contract term, you will be charged an Early Termination Fee (ETF) comprised of your Minimum Monthly Charge as per your agreement with us, multiplied by the months remaining in your contract, in addition to any required hardware repayments or handset non-return fees. Each ETF is based on the standard full rate of the minimum monthly charges, promotional discounts received are not factored into this calculation. 8. Handsets are rented to you by us and remain the property of Telair. Rented handsets must be returned within 30 days of service cancellation, or a handset non-return fee will apply. 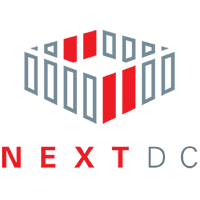 Check the Critical Information Summary for relevant handset non-return fee. After a rental term is complete, rented handsets can be bought out for $50 each, after which then become your property. While we will endeavour to provide a brand new handset to each user, Telair may use refurbished or used handsets where we deem necessary. 9. Contract terms of 24, 36, 48 and 60 months available. Minimum total commitment calculated as: Contract length x Monthly Fee. Minimum Total Cost (per user) for each plan can be found on the relevant Critical Information Summary. Promotional discounts are not factored into this calculation. 10. You are responsible for handset installation, including any associated cabling and configuration of your network and associated hardware devices on the network, required in order for the Service to work. Optional Professional Install fees are $195 per site and $45 per handset (cabling additional). Install may not be available in regional or remote locations and is limited to the handsets only. Surcharge may apply for regional or remote sites. 11. Minimum of 3 user licences required. Promotional offers require minimum 5 user licences. 12. Fair Use Policy applies. High volume telemarketing is prohibited with the Service. 13. Priority Assistance is not available on the Service. The Service may not be appropriate if you or another user have a disability, serious illness or other life threatening condition which requires an uninterrupted phone line with access to 000 emergency services. 14. Information and pricing was correct at time of printing. All prices include GST. nbn™, nbn™ co and other nbn™ logos and brands are trade marks of nbn co limited and used under licence. uPBX is a trade mark of Telair Pty Ltd ABN 92 119 713 745. 15. Top Ten International Countries: China, France, Germany, Hong Kong, India, NZ, Canada, Singapore, UK, USA. Promotional offers may be withdrawn at any time and for any reason Telair deems appropriate (this will not affect pending orders already accepted and submitted by Telair). Existing user licence pricing will remain at the promotional rates for the selected minimum contract term. Offer only available with a minimum of 5 user licences on a 36 month minimum term.